The original definition of “cockt-tail” didn’t call for a sour component or even talk about acidity in cocktails. I believe this was because most early cocktails were spirit-based. In some instances, these spirits were ‘sweetened’ with liqueurs and sugars because the alcohol was so potent (and sometimes awful). Distillation has become an art form today and the spirits distillers are creating are beautiful liquids of complex flavor and texture. 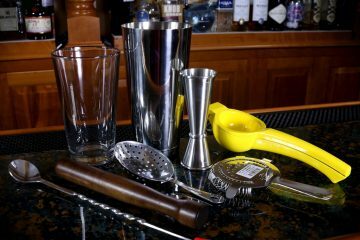 As we mentioned in our sugars lesson, the cocktail was originally defined in 1806 as “spirits, sugar, water and bitters.” Jerry Thomas was redefining the cocktail art in his 1962 book How To Mix Drinks; or, The Bon Vivant’s Companion. Not only did “the professor” define those base components, but he expanded on them with acidity. Jerry Thomas defined an entire category of sours within his book. You can find Jerry Thomas’ publication online (it’s vintage and open to reprint) and read it for yourself! Jerry Thomas defined four categories of acidic cocktails: fix, fizz, daisy, and sour. All Thomas’ categories had a balance of sugars against acidity. Today, we can use all of these categories are building blocks for a cocktail. Want to know more about some of the categories? watch us make a Gin Fix and Gin Fizz and see for yourself! Adding sour redefines the cocktail definition to: alcohol, sugars, acidity, and bitterness (we assume water as that’s part of the dilution when chilling the drink). 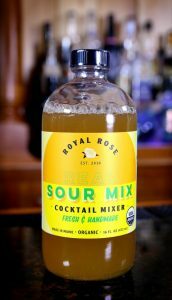 Many modern cocktails simply call for sour mix as their way of handling both the sugar and acidity aspect of cocktail creation. First, the core element of ‘sour’ in most cocktails is citric acid. 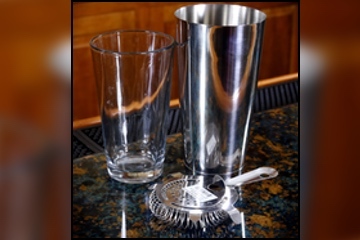 When I was a doe eyed college student I purchased a box of “Bar-Tenders Instance Whiskey Sour Mix” because a few cocktails called for “sour mix.” I never knew how to use them and eventually just threw out the box; turns out the two main ingredients in that packet of ‘mix’ was sugar and citric acid! I was so close to understanding acidity in cocktails, but it would be years before balance made sense to me. Both lemons and limes produce high levels of citric acid. The PH of a lime is slightly more acidic than that of a lemon. This often means your cocktail will call for more lemon juice than lime juice because the concentration of acidity in limes is greater. Unlike lemons which contain almost pure citric acid, a lime is a hybrid of both citric acid and malic acid. Liquid Intelligence by Dave Arnold suggests that a lemon is made up of 6% citric acid while lime is made up of 4% citric acid and 2% malic acid. Grapefruit has about 2% citric acid, which puts it far below both lemons and limes on the sour scale. As a result, you’re cocktail will call for far more grapefruit juice to gain the same level of acidity as a lime or lemon. Some cocktails may use grapefruit in conjunction with another acidic element, such as lime. The Dorchester Cocktail which calls for .75 ounces of lime and .50 ounces of grapefruit juice has a beautiful balance with complex flavors of grapefruit and bite of lime. Interesting Note: Powdered Citric Acid tastes like lemons. It’s also used as a preservative in many commercial food products. Malic acid plays a strong part in cocktail creation. This acid has a higher sour taste compared to citric acid but is softer overall on the palate. Malic acid lingers on the tongue longer than citric acid which means lime juice in your cocktails will give a longer softer drawn out sour taste. Many find the sour bite of malic acid more refreshing like that in Granny Smith Apple (high in malic acid). Both malic acid and citric acid help give your cocktail that, “I need another sip” desire. Interesting Note: Powdered malic acid tastes like green apple candy. 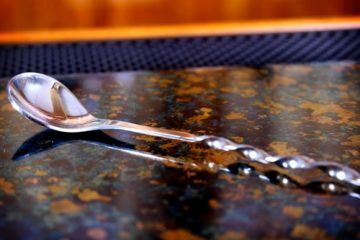 You’ll find ascorbic acid is lighter and less intense within a cocktail. However, ascorbic acid still lends some acidity. Perhaps this is one reason there is no additional lemon or lime within the Screwdriver cocktail. Ascorbic Acid is vitamin C, the main acid found in orange juice! Orange juice only brings a moderate acidity and delivers fairly high sugar counts making it very difficult to use in balancing a cocktail. Orange juice is often used as a sweetener in cocktails instead of a sour because of its overall sugar content. Lactic Acid brings flavor of sauerkraut, pickles and cheese to the palate and can be a bit more challenging to use in a cocktail. You’ll probably find the use of lactic acid in a savory cocktail instead of that of a sour or sweet forward cocktail. However, lactic acid does have a place in a cocktail recipe, just look at the White Russian which has a high concentration of cream/milk! You’ll find fermented products tend to bring lactic acid to the party. Savory cocktails may call for an acetic acid. This acid is found in vinegar and you may find acetic acid plays a part in something like a Bloody Mary. The “sour grapes” component of acids, tartaric acid can be present in grape-based product such as vermouth. If you like the bitter bite of a vermouth (Cocchi Americano comes to mind) you probably desire that tartaric acid combined with the malic acid in the vermouth. It could also be that bitter bite from the tannins and addition of quinine (cinchona bark) that makes Cocchi Americano a popular vermouth for such drinks as the Vesper Martini. You won’t find phosphoric acid in the wild like other acids (as its man made), but it’s still a worthwhile talking point. Phosphoric acid is sometimes used to bring “bone dry” flavor to a cocktail. Want an even more dry martini? A few dashes of phosphoric acid should get you where you need to be! You can find a higher level of phosphoric acid in cocktails like the Cube Libre, as phosphoric acid is used in most cola products. Phosphoric acid is a preservative, stopping mold but also bringing a tangy flavor to your sodas. Choosing a lemon’s acidity to a lime’s acidity is often based on the core spirit. You’ll find flavor pairings show week/strong with certain acidities. Whiskey and brown spirits often pair strong with lemon while clear spirits like rum, gin and tequila pair great with lime. If you’re designing a cocktail recipe or tasting someone’s creation and the cocktail feels like it’s “missing” something, then look into the acidity. 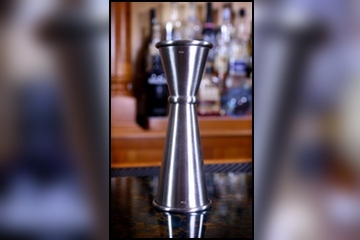 In many cases an unbalanced cocktail either tastes sweet (lacking acidity) or just hollow (low acidity). Combining the correct ratio of sweet, sour and spirit usually creates a good craft cocktail balance. You can find a rock solid ratio of 2:1:1 with a two core spirit ratios against one part sour (acid) and one part sweet. A cocktail designed as a “sour” may balance the sour higher than sweet, but it will still contain some level of sweet. In conclusion, you should always consider a sour or sour mix as part of your cocktail design. It’s not the 1980’s anymore, you’re now allowed to create a well balance craft cocktail. Balance is only complete when you can bring a sour into a sweet and allow the spirit and any other flavorful components to become part of the taste. Watch Lesson 01: Understanding Sugar & Simple Syrup In Cocktails.